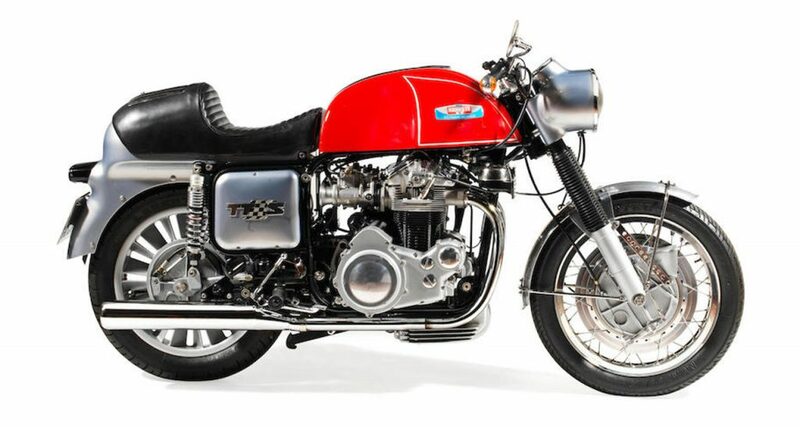 The Clymer-Münch 1.177cc TTS 'Mammoth' motorcycle is quite foreign to our ears. 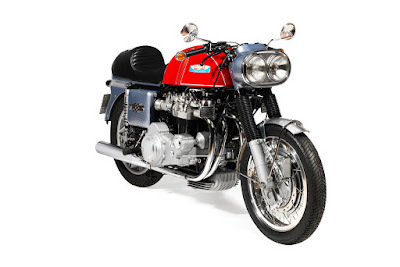 But for high-speed motorcycle collectors, this motorcycle has its own story. 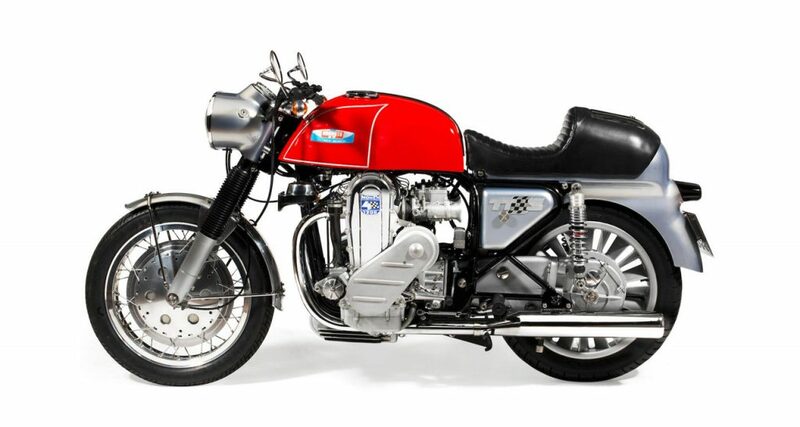 Yes, these motorcycle was made by the Horex racing technician named Freidl Münch based on the orders of a wealthy Frenchman who was fond of racing named Jean Murit. To realize Murit's desire, a motorcycle was made by using a four-cylinder air-cooled type engine with overhead-camshaft taken from the NSU TT Sport two-door car (1965-1967) whose standard version was only capable of spewing power of 40 hp later upgraded to 60 hp. Even the motorbike's speed at the time was more than 190 km/hour. Although in those days most machines could make motorbikes run so fast. But only these 'Mammoth' can sprint from the final gear at a speed of 30 km/hour then immediately able to accelerate up to 177 km/hour. Those machine is placed and tied to a custom frames inspired by Manx Norton. The weight factor was also be considered by Münch who then used an electron magnesium alloy to be applied to the gearbox cover, rear chain cover, suspension slider to the brakes. It was believed that at that time the weight was only 196 kg. But the production version has more weight than that. The founder of Elephant Rally and also Das Motorrad journalist named Ernst Leverkus had tried the motorcycle in 1966. When the production version was launched, it received an overwhelming response and orders flowed from various parts of the world. The production version of this motorcycle made its first appearance at the Cologne Show in September 1966 by using a 1,085 cc 70 hp engine and a top speed of 225 km/hour. While for special orders from the consumers, Mammoth uses a 1.177 cc engine from NSU that is capable of blowing the power up to 104 hp. The Freidl Münch's motorcycle based on the ideas from Jean Murit, was also seen by the investors such as the founder of Cycle Magazine as well as an American entrepreneur named Floyd Clymer who then sent the motorbike to America, under the name Clymer-Münch 'Mammoth'. Under the slogan of 'Built up to a standard, not down to a price,' these motor was quite classy at that time due to the price of Mammoth is indeed enough to make a headache for rich motorbike fans in the United States at that time. Yes, this motorcycle is sold at a price of around $3,995 where the BMW R69S was only $1,695. It is estimated that there are about 500 units of Mammoth motorcycles made up to 1975. 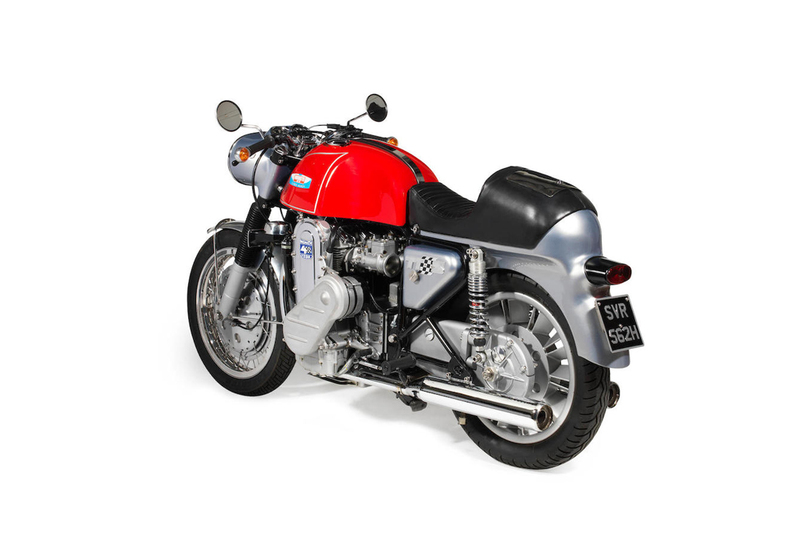 As quoted of Hemmings Daily on April 23, 2018, there's 1970 Clymer Münch 1,177cc TTS 'Mammoth' with the frame number 114 had become a bone of contention when sold at an auction event. Yes, the motorbike had been sold at the price of £154,940 or US. $217,692 (over to Rp.3 billions) establishing a new auction record for the model. WOW...! !